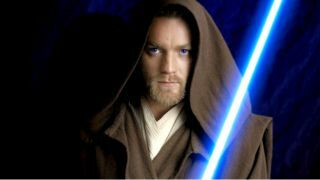 We may still see a standalone Obi-Wan movie - but, according to rumours, it’s possible the Jedi may turn up in Star Wars 8. Woah. So, Obi-Wan could appear in either Star Wars 8 or Star Wars 9, possibly helping Rey out as a Force ghost, Yoda-style. How great would that be? Ewan McGregor, as everyone and their Ewok knows by now, recorded new lines for Rey’s vision in Star Wars: The Force Awakens. If you factor in some repurposed Alec Guinness dialogue as well (the ‘Rey’ in ‘afraid’, taken from an old recording) then it seems there’s definitely some sort of link between Rey and Obi-Wan - possibly lending support to the theory that Rey is part of the Kenobi bloodline. Could this be explored in Star Wars 8?